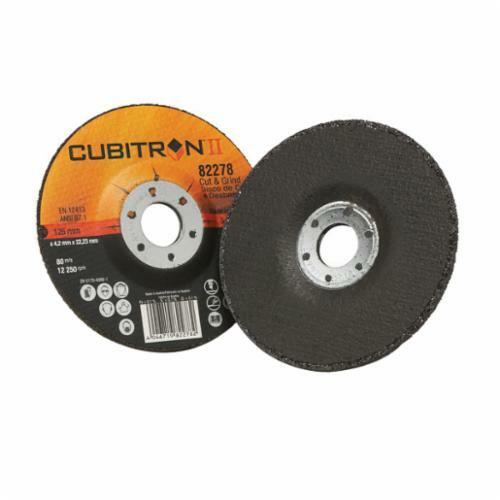 Unlike other abrasive discs, which are designed for just one job, our 3M™ Cubitron™ II Cut and Grind Wheel can meet multiple challenges without the need for swapping out disks. The flat, reinforced inner surface can shape or sand objects, while the thin outer edge can be used to make perpendicular cuts and gouges. 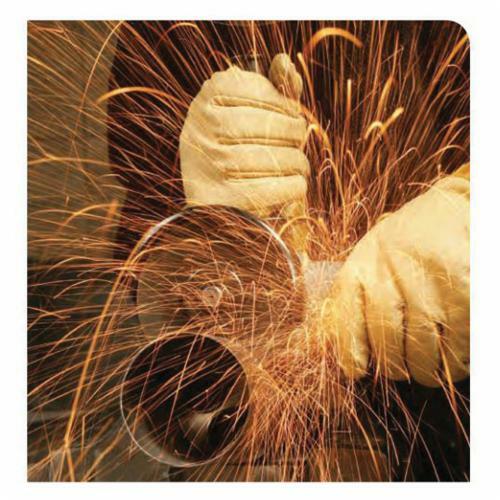 This inclusive design negates the need for multiple abrasive tools and can help to maximize production. To create Precision Shaped Grain, our engineers started with 3M™ Ceramic Abrasive Grain and used proprietary technology to form the grains into triangular structures. These peaks slice cleanly through metal like a knife through butter, rather than gouging or plowing as traditional abrasives do and continuously self-sharpen as the points fracture. This generates a super-fast cut and lessens heat build-up due to friction, reducing heat-related stress cracks and discoloration. Wheel must have a maximum operating speed greater than or equal to the maximum speed of the power tool used and must be used with a wheel guard that fits the size of the cut-off wheel.